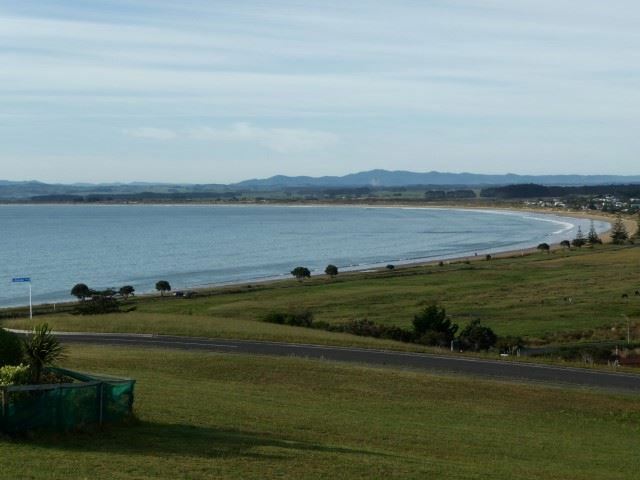 Stunning views down to Tokerau Beach and out to Doubtless Bay. Sealed road and footpath front the section with sevices, power, phone and sewerage near the boundary. Auction. 12 noon. Friday 22nd January 2016. Karikari Peninsula is renowned for its access to the best Snapper fishing grounds in New Zealand with boat launching off the beach at Tokerau Beach, Perehipe Bay and Rangiputa. The area is also regarded as the gateway for Marlin fishing. The Peninsula is home for many beautiful bays & beaches, Peppers Carrington Golf Course, Restaurant & Winery Estate. Only a 30 minute drive to Kaitaia (Airport, Hospital, High School, shopping etc).